Tia and I went to visit the Taubman Museum, and we were both impressed with all the installations. I wasn't sure if I should make a separate post for each or combine it all in one so I went with the latter. Hopefully, you guys will be able to see them vicariously through these pictures. Definitely, check it out in person if you ever get the chance! 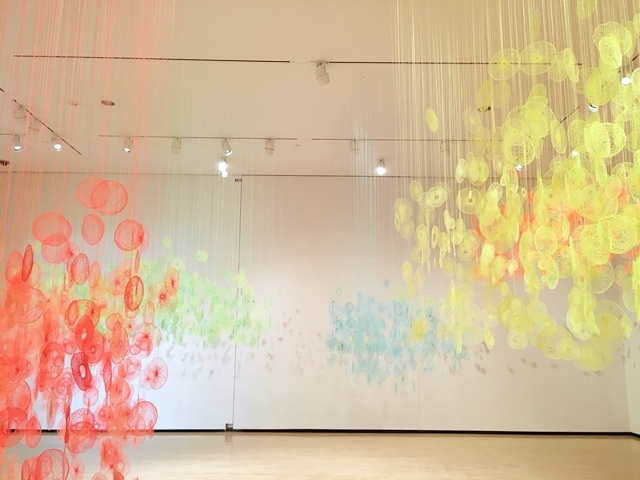 As soon as you walk into the museum, you will most definitely be mesmerized with this installation. These giant quilts are hung across the ceiling which allows the light to pass through to create these beautiful muted colors across the floors and walls. It will always be different because you never really know how the light will come into the museum. Definitely an instagram-worthy piece! This piece is made of coffee stirrers and other coffee related things. This one is made from thread and seems to be coated with some wax-like liquid or glue. One word for these two installations - details! I really love how these installations were right next to each other because it reminds me of the earth and sky respectively. When I read the blurbs about these, the common denominator was how the artists "organize chaos" which is very fitting. This is my favorite installation. 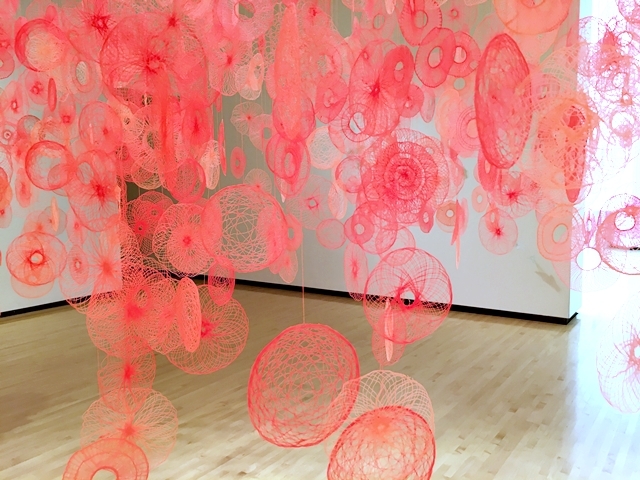 The blurb about this installation mentions that the artist is known for her organic, large-scaled sculptures that are made with wax, ribbon, and feathers. 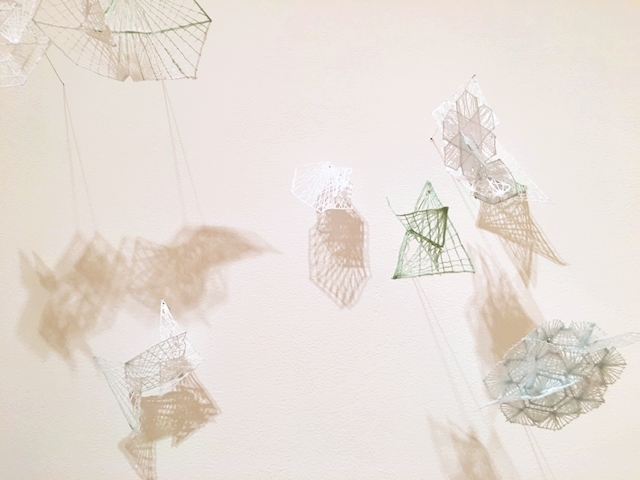 Most of her work looks really delicate, but the base is actually made of steel which I love because it plays on that dainty but strong juxtaposition. Just walking through decades of cover pages for The Saturday Evening Post. There was actually a group of students touring this area so we didn't really stayed too long, but here's a quick picture of me with Rosie the Riverette! I had a great time going through the exhibits. Hopefully, you guys enjoyed seeing parts of it through my pictures. Let me know which one is your favorite? If you ever get the chance, definitely visit the Taubman Museum. Admission is free! I also think all (if not, most) of the exhibits pictured are permanent. (I sound like I'm being sponsored, but I'm not haha. I just like to share my experience). Oh wow, this place is so lovely. I've never been to Roanoke before. How often does the art change at this museum?? ?